The Mom: Informed: If It Didn't Come In The Box With Your Carseat, It Probably Isn't Safe!!!! If It Didn't Come In The Box With Your Carseat, It Probably Isn't Safe!!!! When buying a car seat, bypass all of the car seat accessories and installation aids. If an item didn't come with the car seat, it's not safe to use it with the car seat. After-market car seat products aren't crash-tested with each car seat and could cause injury during a crash. This includes head positioners (unless it came with the car seat) and seat belt ratchets, which aren't needed if you install the car seat properly. Use of after-market products often voids the car seat warranty. Car seat accessories packages are sneaky, claiming to meet all federal car seat safety standards. The problem is that there are no standards for these car seat add-ons. Federal standards govern only the car seats and LATCH systems. Car seat safety experts say toy bars, neck rolls, fabric covers, seat belt ratchets and other after-market accessories should not be used. If it didn't come with your car seat, leave it off. More info HERE! and HERE! No infant head supports unless they were included in the box with you carseat. No carseat inserts. They also interfere with the straps=very unsafe! No Bundle-Me. It is too thick behind baby and that interferes with the straps. But don't take our word for it, here is what the car seat manufacturers have to say about aftermarket products. These excerpts were taken directly from the child safety seat instruction manuals. o Do Not dress your child in bulky clothing or other garments that will hinder the harness from being snug around your baby and properly latched between your child's legs. o Accessory products for use with the Safety Seat are acceptable for use provided that they do not interfere with the harness assembly, or the proper adjustment of the harness such that it remains tight on the child's shoulders at all times. Thick, soft, or other compressible material in excess of 1/4 inch thick should not be placed behind or under the child or between the child and harness straps. Examples of accessory products are head support pillows or rolled blankets to add additional head support. o The use of non-Britax Child Safety, Inc. covers, inserts, toys, accessories, or tightening devices is not approved by Britax. Their use could cause this restraint to fail Federal Safety Standards or perform worse in a crash. Their use automatically voids the Britax warranty. o NEVER use clothing or blankets that interfere with fastening or tightening the harness. An unsecured child could be ejected in a sudden stop or crash! 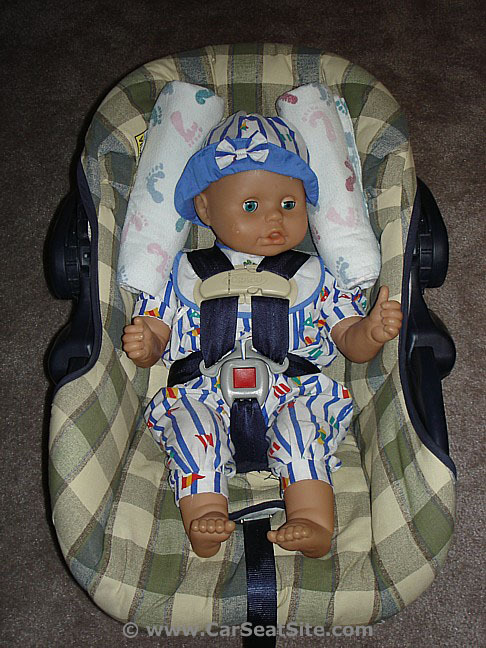 To keep child warm, place a blanket over child and restraint AFTER you have properly secured child in harness. 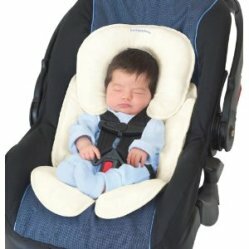 o DO NOT use any accessories, pads or products supplied by other manufacturers with this Child Restraint. Items not tested with this restraint could injure your child. 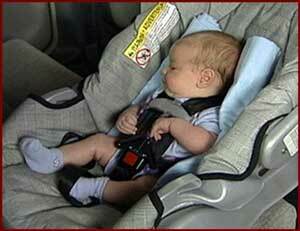 o Dorel Juvenile Group does not recommend the use of any child restraint accessories except those recommended by DJG. o In cold weather, DO NOT dress the child in bulky clothing like snowsuits if the child is riding in a child restraint. Bulky coats/ snowsuits make it difficult to properly tighten the harness to the child, which may allow the child to be ejected from the restraint during a crash. o DO NOT use accessories or parts other than those provided by Graco. Their use could alter the performance of the car seat. o Do not modify your Infant Car Seat or Base. Only use products and accessories approved by Orbit Baby to ensure the safety of your child. This limited warranty does not apply to: defects resulting from use with covers, inserts, accessories, tightening devices, or other components not supplied by or expressly approved in writing by Orbit Baby. o Use only approved parts. Use of unapproved parts can affect the safety of the car seat and cause serious injuries in an accident. o ﻿Using any non-Sunshine Kids product with this restraint; or any product not specifically approved by Sunshine Kids for use with this restraint is not allowed. Use of such products voids manufacturer's warranty and may seriously impact the products ability to perform properly in an accident. Blankets beside baby's head to hold it upright! 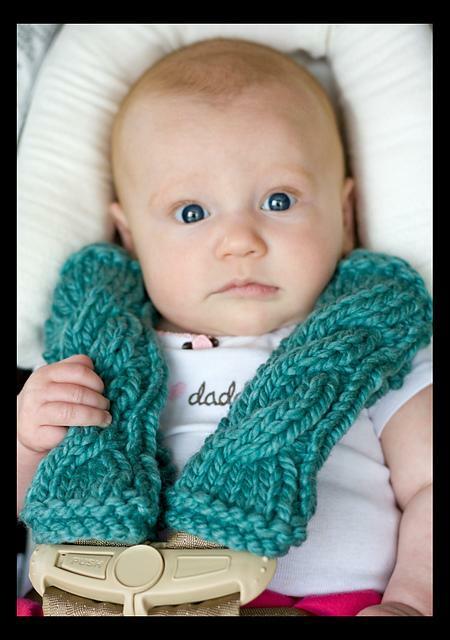 A Car Seat Poncho to keep baby warm! A BabbaCo. Snuggle Fleece can also work! I hope this helps everyone and I hope if you are using an aftermarket product, it is a safe one. If you are using an unsafe one, I encourage you to discard it and exchange it for a safe one. Have you noticed that the head supports that come with car seats are completely cheap and unusable,giving no support to the child's neck? I do happily use an insert mainly for the fact that I run and rollerblade with my newborn and he needs more support than what Baby Trend's factory made so called neck support. Hopefully you don't get in accident. these things are the differnce between life and death. seriously. Also, As a runner, you must know you are not supposed to jog/run with a baby until they are at least 6 months old. a baby's neck and head shouldn't be positioned in one spot by an after market head support...it may look uncomfortable but it opens their air way and baby is able to breathe easier..that's the reason the head supports that come with the carseats are designed the way they are...PLUS, those after market head/body supports interfere with the harness and also don't compress during a crash making for a false sense of tightness. Ignoring these warnings snd safety tips for your own convenience is so selfish and disgusting. Do whats right for your baby. If you need a good, warm blanket for you baby, that does not interfere with the safety of the seat, but that will actually swaddle your baby - try the ZOOMBY. It has seatbelt holes through the back and it is a thin, fleece blanket that can be wrapped over your baby AFTER It is buckled up. We have used ours for four children now and we love it! So I guess I'm not clear, what about the covers that go on the outside of the seat for warmth?